Parents put their confidence in rules and principles and apply themselves to doing everything right. They believe that diligent application of the right methods will protect their kids from threatening influences and will assure that their kids succeed. But rather than building a healthy parent/child relationship, the rules-oriented approach places unreasonable demands and expectations on both parents and children. And the added pressure makes it more difficult for a child to feel loved by his parents - and by God. To reduce pressure and enjoy greater closeness, parents need to turn their approach upside-down by allowing God to use their children to lead them to spiritual maturity. 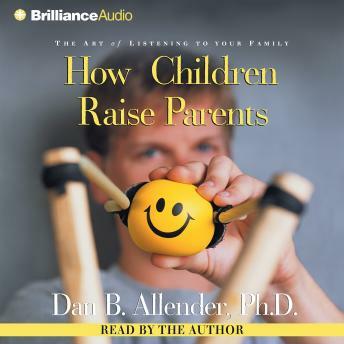 How Children Raise Parents provides a bold new paradigm by showing that parenting is the process God uses to help parents grow up. This liberating approach helps parents learn to prize what they're being taught by their child's quirks, failures, and normal childhood dilemmas, rather than worrying about what their children will accomplish in life.